Brewery Westmalle is perhaps best known among beer-fans all over the world for the Westmalle Dubbel and Westmalle Tripel Trappist brews. The cheese is available per weight of +/- 1 kg to 1.3 kg depending on the age. 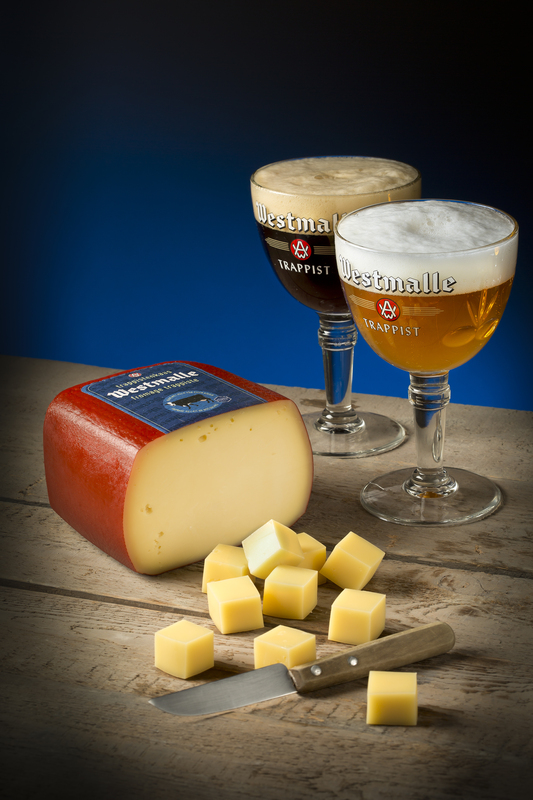 Trappist Westmalle cheese is ideal with a nice Westmalle Dubbel or Westmalle Tripel or as apéritif/dessert cheese plate. Westmalle Trappist cheese is vacuum packed and is safe for international shipping to your house or business. 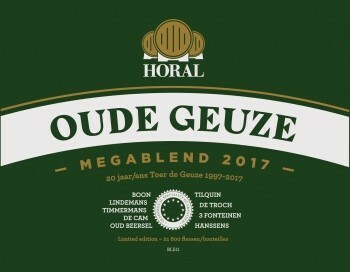 Today is the official release date of the Horal Oude Geuze Megablend Toer de Gueuze 2017. This oude gueuze is a blend of young and old lambics of 3 Fonteinen, Boon, De Oude Cam, De Troch, Hanssens, Lindemans, Oud Beersel, Tilquin en Timmermans. Horal 2017 was presented at the ‘Open Brewery Days’ on May 6 and 7 at the participating breweries. Horal 2017 is available per bottle and in volume pack of 18 bottles. Vandervelden 135 years Oude Geuze is a blend of 1-year-old lambic aged on foeders that were previously used for mainly red Brunello di Montalchino Tuscany wine and of 3-year-old lambic on an old Oud Beersel foeder. A tribute – hommage – to the founder of Brewery Oud Beersel; Henri Vandervelden ! Also check out other Oud Beersel lambic brews, glassware and brewery packs in the shop !